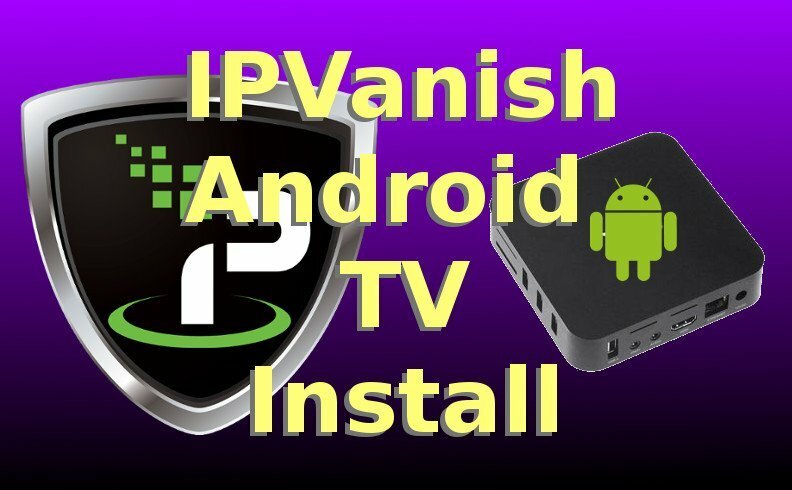 This guide will walk you through how to install IPVanish Android TV Box version. Launch the Google Play Store app on your Android TV Box. This is usually located somewhere toward the bottom of your TV box’s home screen. From the Google Play Store, enter the words “ipvanish vpn” into the search field. Once the search results are displayed, choose IPVanish VPN from the list (here’s the link directly to the IPVanish App in Google Play Store). Return to the main screen of the Google Play Store app. This can be done by pressing the “back arrow” icon. Enter “kodi” in the Search box. In the results, select Kodi. Press the home icon on your Android TV box to return to the dashboard / homescreen. Press the IPVanish app icon to launch IPVanish. Enter your IPVanish login info (username and password) you received after you sign up for IPVanish. Press “Remember Me” if you’d like to keep your login info stored in the IPVanish app. Choose the Country whose VPN server you’d like to use. Unblock TIP for US & UK Residents: If you’re in the USA and you’re using the VPN to unblock UK streams, select a UK server. If you’re in the UK and you’re using the VPN to unblock US streams, select a US server. You can also choose the City and the exact VPN server you’d like to use. When you see your Android TV Box pop up a “Connection Request” information box, select “OK”. Once you’re connected to the VPN server, you will see the status of your VPN connection in the “Connection Status” area. You’ll know you’re connected if it says “Connected“. You’ll also see that the connection info reports the information of the VPN server – not your actual ISP connection (which is exactly what we want!). That’s it! Use Kodi as your normally would – worry-free and knowing that youre connection is completely encrypted, anonymous, private — secure. And all this is accomplished with Kodi (Free) and IPVanish ($5/mo with our exclusive 60% off coupon). Achieve the highest information privacy to protect against snooping 3rd parties & government organizations. Trouble with the IPVanish Android TV Setup Process? If you have issues installing or connecting to IPVanish, contact IPVanish’s friendly (I know this from personal experience) support team directly at https://support.ipvanish.com/. IPVanish work well also on the Smart TV with “Android TV”.